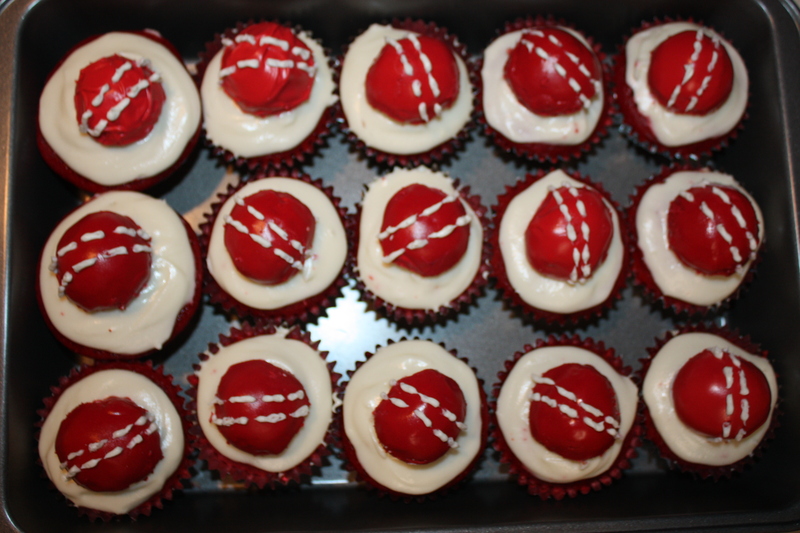 For the birthday of a friend from New Zealand who doesn’t get much cricket here in the states. Fill cupcake papers 2/3 full, bake 20-22 minutes at 350 degrees. I cut donut holes in half and covered them with red-colored cream cheese frosting (saving some white aside for piping the laces).